It is extremely helpful for a personal injury attorney to have a clean bill. What this means is that the bill contains only the dates and amounts of all charges by the healthcare provider. A clean bill does not contain any information on health insurance payments and also contains a figure which represents total charges for services rendered by the provider for the accident. In the event that the attorney receives a bill with insurance payment information, this devalues a claim because the adverse carrier knows that first party insurance has paid all or some of the patient’s bill. If an adverse adjuster knows that bills are paid by first party insurance, such as auto med pay with no right of subrogation, he will offer a lesser amount to settle the claim. Also, an attorney cannot file any documents with the Court that contain a patient’s social security number. This data must be redacted. Don’t include the patient’s social security number on your bill. Bills that are submitted to the Court as evidence in a personal injury case must also be redacted for insurance information. Health insurance claim form(s) are particularly problematic for personal injury attorneys because the insurance information is replete throughout the form and redaction of insurance information is a very time consuming process. For these reasons, personal injury attorneys love clean bills. 2. Organization of a personal injury medical file. For reasons stated in No. 1 above, all information regarding insurance should be placed in one section of a medical file. Once again, the reason for this is because all insurance information must be redacted from medical records which are the subject of a trial. If all of the insurance information is kept in a separate section of a file and segregated from the medical records, this is very helpful to the personal injury attorney as far as redactation of records is concerned. Intake forms often include insurance information mixed in with patient history and symptomology. Redactation is a simple process when all insurance information is segregated. We can just eliminate those pages from our trial exhibits. In order for medical bills to be admitted into evidence, there must be a statement by the healthcare provider concerning the medical necessity of the treatment. In other words, the treatment must be medically necessary for the treatment of injuries resulting from a particular accident. Generally speaking, this statement of medical necessity is very helpful to an attorney during an arbitration or a short trial. In these proceedings, it is not necessary for the doctor to actually appear to give testimony in the event that his medical records contain a statement of medical necessity and other evidentiary requirements. The doctor in his discharge report or in his medical records can simply state that, “In my opinion, all treatment rendered to the patient (from first date of treatment to last date of treatment) was medically necessary to treat injuries that the patient received in her accident of (date of accident). In order for a Plaintiff to prevail in a personal injury case, medical evidence must contain a statement by a physician concerning causation. That statement can be, “It is my opinion to a reasonable degree of medical probability the injuries that I diagnosed and treated the patient for were caused by the accident of (date of accident).” The healthcare provider can simply include such a statement in his records or narrative reports. 5. Reasonable and Customary Charges. This statement is extremely helpful on mediation, arbitration and short trial cases. 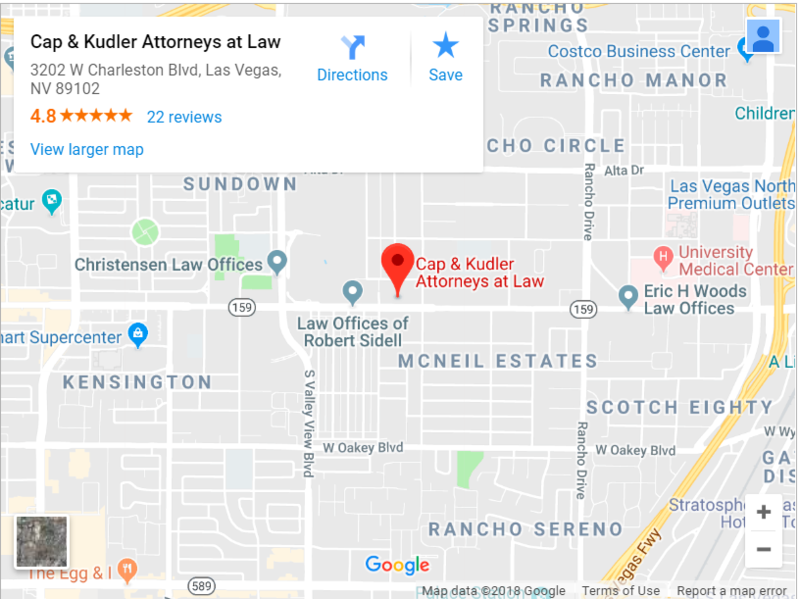 In order to admit a medical bill into evidence, the attorney must lay a foundation that the charges for the medical treatment were reasonable in amount and are customary charges for same or similar services in the Las Vegas area. The physician in his narrative or medical records can once again simply state that, “I have reviewed the billings for this patient. In my opinion, the charges for services rendered by my facility were reasonable in amount and customary charges for the Las Vegas medical community.” Once again, this information will eliminate the need to have the medical provider actually testify in an arbitration or short trial proceeding. This is especially important if there are numerous medical providers. Attorneys can’t afford to bring all providers to a short trial. Even if you win, you can only receive $500.00 per expert. In the event that the healthcare provider does not provide information concerning medical necessity, causation and reasonable and customary charges, the attorney can provide the healthcare provide with an affidavit that he can sign which can be used in mediation, arbitration and the short trial program, so that the medical bills and records of the provider meet legal foundational requirements for admissibility. The healthcare provider should be prepared during deposition to testify concerning medical necessity, causation and reasonable and customary charges. Oftentimes, healthcare providers during deposition have absolutely no idea of what their facility charged the patient. They are ill-prepared to testify on matters of reasonable and customary charges. Many physicians have never seen their client’s bill. In preparation for a deposition, the healthcare provider should review his bill and the charges and be prepared to testify concerning reasonable and customary charges. The healthcare provider should also understand and be prepared to testify concerning opinions on medical necessity and causation. Most healthcare providers give adequate testimony concerning their records, but are very weak when it comes to their testimony in these three areas. 7. Timely Production of Bills and Records. Most lay persons would be surprised to know how long it takes to receive medical bills and records from some healthcare facilities. Sometimes, it takes months to receive bills and records. Healthcare providers can charge .60¢ per page for their records. We find that most healthcare providers are unaware of delays by their office concerning requests for bills and records. The faster that the attorney can receive the bills and records, the more quickly he can settle the client’s personal injury claim, and pay the client’s healthcare providers for services rendered. We find that staff turnover is largely responsible for delays on requests for bills and records. We have the most problems with outside billing companies that provide billing services for multiple providers. Outside billing services are a nightmare to work with. They are hard to reach and are more non-responsive to attorney office contact. When we attempt to obtain a complete copy of the entire medical file during a deposition, we are often told by the healthcare provider that they can’t provide a copy of the bills and records. This must be done by advance notice. With litigation, time limitations are always involved. Therefore, if a provider delays in providing the attorney with bills and records, this may contribute to sanctions on the part of the attorney, or dismissal of the case, if records cannot be provided in a timely manner. If the patient is still treating as his case approaches a trial date, any new records and bills must be produced prior to the discovery cut-off date, which is usually 45 days prior to trial. Information concerning total charges and balances is very important to the personal injury attorney. One would think that an attorney just makes a call to a healthcare provider and he can immediately obtain information on total charges, and any balance that is due and owing, after payment by insurance, and after application of provider discounts. We find that oftentimes we cannot get this information from the healthcare provider. We need to have this information in order to settle cases, and to participate meaningfully in mediation and settlement conferences. Once again, it should not take weeks or even days in order to obtain this information. The attorney’s office needs access to this information. Once again, this problem is magnified when outside billing company’s are involved. In order to get cases settled and to meaningfully participate in settlement conferences and mediation, it is necessary for the attorney to know ahead of time what reductions the healthcare provider is willing to accept. During the mediation or settlement conference, if an offer is made, the attorney must be able to tell the client what he or she will end up with as a net recovery during the proceeding. The attorney does not know how much money will be offered to settle the client’s case. Therefore, the attorney will contact the healthcare provider, usually in writing (via fax) for pre-approved reductions prior entering into a mediation or settlement conference. Most healthcare providers are not aware of how mediations and settlement conferences work. It appears that mediation and settlement conferences currently are being utilized more frequently in an attempt to resolve claims. 10. Custodian of Records Affidavit. In order to authenticate medical bills and records for admissibility into evidence, it is necessary for the attorney to authenticate these documents. This can be done with a Custodian of Records Affidavit. My office, as a matter of procedure, sends with every request for bills and records, a Custodian of Records Affidavit. These certificates are sometimes ignored by healthcare providers. Generally speaking, we receive bills and records without an executed Custodian of Records Affidavit. The medical records, for purposes of litigation, cannot be admitted into evidence without the Custodian of Records Affidavit. Most judges will not admit bills and records into evidence without the executed Custodian of Records Affidavit. In order to respond to the affidavit properly, the healthcare provider should be able to provide a notarized signature by the Custodian. Our office, as an alternative, will send two Custodian of Records Affidavits. One has a form for notarization, and the other has a statement stating that the custodian signs under penalty of perjury. The second alternative may not work with some judges. Therefore, it is critical if the Custodian of Records has access to a notary for proper execution of the Custodian of Records Affidavits. Most personal injury cases involve injuries to the neck and back. The defense of these claims largely involves concentration on degenerative arthritis or degenerative changes in the spine. The healthcare provider should not let the defense attorney set up their case by catching the healthcare provider off guard to comment on pre-existing degenerative changes that appear in the patient’s diagnostic tests. For the most part, I have been informed by healthcare providers that degenerative changes such as spondylosis are generally asymptomatic. These degenerative changes increase the susceptibility of the patient to risk of injury. This is very important on low impact auto accident cases. Degenerative changes may decrease the injury threshold for an accident, increase the length of treatment, and produce more chronic conditions. Therefore, it is important for the healthcare provider to understand the concept because anytime a diagnostic test shows degenerative changes, the defense will concentrate on this in an effort to defend the case, and to attempt to show that any symptomology that the patient had post accident was due to degenerative changes, and not to the subject accident. 12. Medical Records From Other Healthcare Providers. It is the position of our Discovery Commissioner that a healthcare provider can testify on medical records from other healthcare providers that are in his file. There are two types of medical experts. The treating physician and the medical expert. The treating physician can comment on medical necessity, and the reasonable and customary nature of outside healthcare referrals without being designated as a medical expert. These types of charges involved MRI’s, and referrals to specialists like orthopedic doctors and neurologists. The healthcare provider should be able to testify that the services provided by these outside facilities were medically necessary, and that their charges were reasonable and customary. Obviously, it will be necessary for the doctor to not only request a copy of the medical report from the referred facility, but also must obtain a copy of their bill. All of the areas covered in this blawg should be common knowledge to healthcare providers that are involved with personal injury cases. We have seen a tremendous turnover in medical facilities that deal with personal injury cases in recent years. Many of the new healthcare providers that are treating patient’s on personal injury cases, do not have much experience at litigation. The information contained in this blawg is critical to the healthcare provider in understanding his role in assisting his patients on injury claims and during litigation.